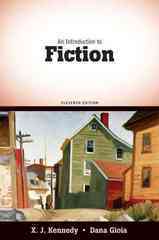 An Introduction to Fiction 11 Edition Kennedy/Gioia's An Introduction to Fiction, 11th edition continues to inspire students with a rich collection of fiction and engaging insights on reading, analyzing, and writing about stories. This bestselling anthology includes sixty-five superlative short stories, blending classic works and contemporary selections. Written by noted poets X.J. Kennedy and Dana Gioia, the text reflects the authors' wit and contagious enthusiasm for their subject. Informative, accessible apparatus presents readable discussions of the literary devices, illustrated by apt works, and supported by interludes with the anthologized writers. This edition features 10 new stories, three masterwork casebooks, revised and expanded chapters on writing, and a new design. New “Key Terms Review” feature at the end of every major chapter—provide students a simple study guide to go over key concepts and terms in each chapter. New 2009 MLA guidelines—provides students the updated source citation guidelines from the new 7th edition of the MLA Handbook and incorporates these in all sample student papers. New section on “Writing a Response Paper”—provides instructions and a sample student essay for this popular type of writing assignment. Updated, revised format to increase accessibility and ease of use—newly added section titles and sub-titles will help Web-oriented students navigate easily from topic to topic in every chapter. Additionally, all chapters have been reviewed and updated to include relevant cultural references.